Chris Mitchell is no stranger to the expat lifestyle. 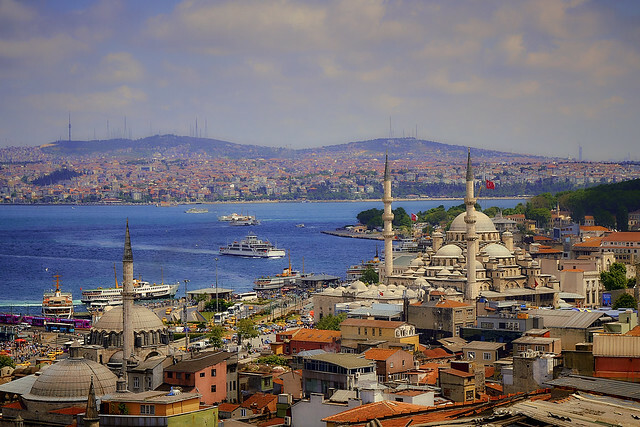 He’s an experienced traveler, and lately he’s hanging his hat in Istanbul, Turkey. In this episode, Chris shared his experiences around culture, food and the amazing travel opportunities within Turkey. Check out Chris’s travel blog TravelingMitch.com — after you’ve listened to this episode, of course. He recently launch a new podcast called Into Istanbul. You can check out the first episode on his website. You can also follow Chris on Twitter @travelingmitch. Hey Adam, I just wanted to drop a link to mention how enjoyable it was to chat with you. I’ll definitely be supporting the podcast moving forward, and I think you’re doing great work. It was a real pleasure, and if you ever want to chat again, just say the word. Cheers! Thanks again for taking the time to talk with me, Chris. Stay in touch so The Expats can follow you on your next adventure!